Oh give me a home where the buffalo roam. 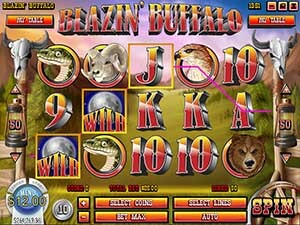 Blazin’ Buffalo is a 50-line, 5 reel slot centered around the American Bison, with a fiery twist. Between the mountains and under the big sky lies the grasslands where the Buffalo spend most of the day grazing. This picturesque plateau is home to hundreds of other awesome animals including Hawks, Snakes, Rams, Wolves, and Bears. This wild west slot is injected with ignitable icons like 9, 10, J, Q, K, A as well as a Wild full moon, Jackpot money sacks, and a Bonus Round icon. 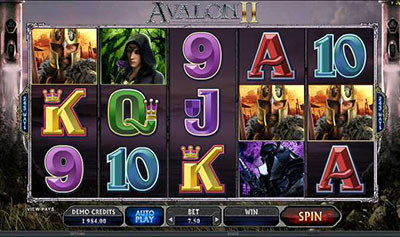 This scorching hot slot has some of fiery features to help stoke the flames of fun. 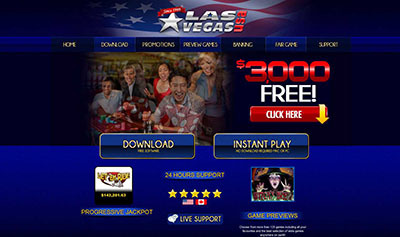 Buffalo Stampede Free Spins gets things heated up. During regular free spin play, three or more Blazin’ Buffalo icons will trigger the Blazin’ Free Spins round for some seriously hot action. The first reel is engulfed in flames and it becomes wild for the duration of the spins! The Find the Buffalo Bonus Round is inspired by the classic card game of chance Three-Card Monte. With Blazin Buffalo you can play with fire without being burned. With a whole herd of free spin features and a 3-Card Monte bonus round Blazin’ Buffalo offers up some bison sized Jackpots!